Hi everyone! Today we're hosting a blog tour for Tiy and The Prince of Egypt by Debbie Dee and will also be doing a review! We hope you can scroll down to see our thoughts of the book! Quick Review: Tiy is different than the other Egyptian girls--she has pale hair and more freckles than she wants to count. With her mother consumed by the need to keep up appearances, and her father too busy to care, Tiy just wants to disappear into the background. 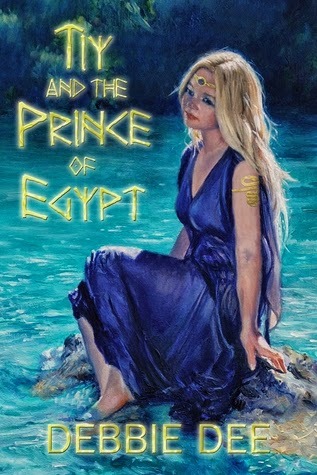 But her hope for a quiet life is shattered when she rescues Prince Amenhotep from a sandstorm and is rewarded with an invitation to attend the royal school in Egypt’s capital—-a place where girls like her will never belong. Amenhotep welcomes her into his close circle of friends and their friendship strengthens into a bond neither is willing to lose. But when Amenhotep becomes Pharaoh and is pressured by the priests to marry, the strength of their friendship is threatened. Will Tiy find enough courage to accept Amenhotep’s hand when he wants her to become the next Queen of Egypt, especially when her feelings run no deeper than friendship? And how can she protect him from the Nubian rebels who are determined to take control of Egypt? Detailed Review: Wow, once again I'm stunned by the author. Debbie, what you have done to me? You have bewitched me with your amazing writing skills! Also after I read the note from the author, it amazed me to find out that most of what I'd read had been real and some incidents had also happened! Wow. What I loved the most though, were the characters and the relationship between the two main characters. Prince Amenhotep and Tiy had very unique personalities that made them stand out in the book. There were no sudden unexplained changes in them, unless provoked by an incident. They were very solid and therefore enjoyable. I also loved the fact that Debbie described them over a range of ages from 12-17 years old. It shows how they grow and develop due to unfortunate and surprising circumstances which ultimately makes them fall in love with each other. There is no love at first sight in this book; the love is instead built on years of friendship. I liked that Tiy was depicted as the goddess Nekhbet, also known as Desert Guardian, in the book and also in the past. Tiy by herself is already bright enough but Amenhotep adds more to her otherworldly glow. They complement each other. She is strong because of him and even on her own, she breaks free from her own insecurities and embraced the person she truly was meant to be, despite her differences. She is a very brave character, one I'll find hard to forget in a very long time. She is, what Amenhotep calls her, a Desert Warrior, able to fight battles and save lives. The setting itself is also very intriguing. I seldom find books set in places like Egypt. I was quite fascinated by the story itself and how Debbie's writing prospers when writing this book. *Tiy looks very beautiful in that cover. Brief Review: It is no easy feat. Lots of research and thought were clearly put into it to create what I'd call, an amazing and fast-paced read that doesn't give you time to catch your breath with a compelling story together and well-executed characters. A very good combination you won't want to miss in this book! Once again, Debbie has managed to impress me with her writing skills. Wow. how to be a country girl in her favorite pair of blue heels. She adores fairy tales and happy endings, but secretly crushes on the bad guy now and then. 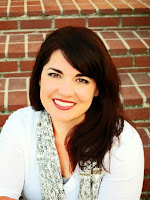 Debbie is also the author of young adult novels, The Last Witch and The Underground Witch.